A fireplace can be a great source for heat, but also an aesthetic portion of the home that can add the finishing tough to the overall appearance of a room. Don’t be fooled by the bulky nature of a fireplace because when it is running, you are going to enjoy quite the sight. There is nothing better than putting together a fantastic room that is designed with the fireplace in mind. Let’s take a glance at the top ten options that can be used in the living room to up the ante and make it look brilliant. This is a design that has become a traditional option over the years, but is really coming to the forefront with the varying choices that are being used to paint the fireplace. You want to learn to color match the furniture (i.e. sofas) with the color of the paint on your fireplace. This can really add to the aesthetic value of the entire living room and is quite the sight. There are certain living rooms that look remarkably well put together, yet you are unable to find a reason for what is making everything look nice. Generally, the reason for the living room design looking nice has to do with the frames that are lined along with it. Use the colors present in the frames (lined alongside the fire place) to truly bring it to life. Make it the focal point using the frames. The next solution comes in the form of the tile use that can be put forth in front of the fireplace. Not only should tiles be lined around the wall that is encompassing the fire place, it should also be found on the floor of the room. It can truly bring life to the room like nothing else ever could. Most people avoid doing this, but the look is remarkable in this day and age and will make the living room look fantastic. Plants are an essential part of the living room. You will want to place the sofas in a manner where the plants (placed beside the fire place) can be seen from everywhere. These are the little details that can go a long way. When this is being done, make sure the remaining part of the living room and its furniture are matching in sync with the plants that are in place. This can really add a new element. Living room designs are all about the tones that are being used in order to make it look better. You don’t want to be using tones that are below par because this can look quite mediocre. Elegant tones are generally ‘gentle’ and they will not overpower the remainder of the room. Make sure the colors that are being used are neatly spread out and don’t overdo the paint. Attention to detail is a big part of what works and what does not. A living room design that is straightforward is going to start playing on your mind. You want to make sure the living room is as asymmetrical as possible because that is going to get the job done as you would want it to be done. How can asymmetry be done using the fireplace? The goal has to be through the lining of the frames, furniture, and the rest of the pieces that are being placed in the living room. The entire living room has to give some sort of feel and that should scream out the personality of the person that is using it and the overall elegance that is at play. You need to make sure that the sleekness of the room does not look bad. You have to ensure the sleek nature of the furniture is as nice as possible. Choose furniture that is not bulky or the small show pieces that are put in place. The trim around the living room fireplace is a key part of how the overall room is going to look. You might start to focus on the placement of the sofas and other things, but the trim is a little detail that can play a big role. 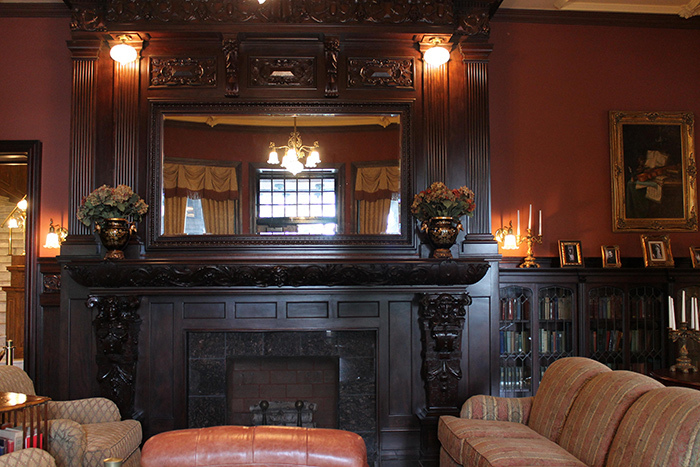 Make sure the trim that is placed around the fireplace looks aesthetically pleasing. This can be done by making sure the trim that is around the fireplace is ‘stainless’. These are the details that you want to focus on. The 9th living room design is once again about the emphasis that is being placed on the little details. This means things such as the simple and chic furniture that can be placed around the fire place. This can be something as simple as getting nice, sleek sofas and other simple furniture to adorn the living room. The final living room deal has to do with the painted wood style that can be used to bring life to the living room. Don’t be afraid to paint the wood in a manner to match with the rest of the furniture. Painted wood is the way to go in the modern age. These are the top ten living room designs that you can use with the fireplace in hand. Don’t be afraid of spicing things up and adding your own personal touch to the room when it comes to the fireplace. Many people tend to become confused as to what approach they should be taking when it comes to the fireplace. You don’t want to get stuck in a situation where the living room looks like it is lacking something. This is a tough issue to deal with and that is something most people want to avoid. You want to have a living room that is the talk of the town and that can only happen when you know how to use the fireplace to your advantage.